TKS TRANS SP. Z O.O. The TKS-TRANS company was founded in 1994. Since the beginning of its operations it has been offering national and international transport services, shipping goods between from Western Europe and the countries of Eastern Europe and Central Asia. In our activity, our top priority is always the well-being and satisfaction of our clients. For this purpose we are always concerned with reliability, timeliness and the quality of the services offered. Our professional and experienced staff of shipping agents is able to meet all requirements and expectations of our partners. Since the foundation of the company we have built and strengthened our position on the transport market day by day. This has is achieved by the perfect fulfilment of orders of our clients and the constant development of the company. We accomplish this by expanding the size of the company and upgrading our fleet, as well as improving administrative and technical facilities, and by equipping the company in the latest technological achievements in the field of logistics and communication. Our transport activity started with two used road tractors which complied with hardly any norms. Years of systematic and consistent development have made it possible for us today to offer 75 modern transport units meeting the most rigorous ecological standards EURO-6. 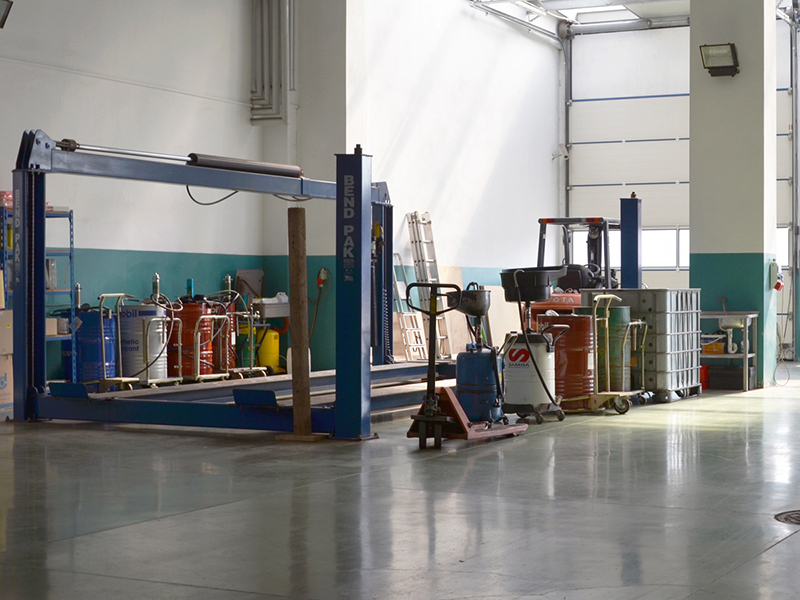 Being concerned with the natural environment and wishing to meet the requirements and expectations of our contractors, our company has a modern and fully-equipped workshop and an automatic car wash. We have also opened a vehicle control station, which offers the full range of services to clients and also to external customers. All this enables us to guarantee the correct technical and aesthetic condition of our vehicles and to minimise the stoppage period necessary for repairs, checkups and technical inspections of our fleet. Our professional and competent staff, as well as wide technical capabilities, allow us to transport any cargo in any place of destination according to the wish of our contractors, always safe, fast and professional. The company pays special attention to the protection and preservation of the natural environment. Starting from using the newest vehicles for transport, which meet the norms EURO-6, through using top quality fuels, to protecting the place of their parking, garaging and repair from the potential negative effects of oil derivatives. For this purpose, the whole site has an internal industrial sewerage system, and waste water is discharged from it by means of separators. 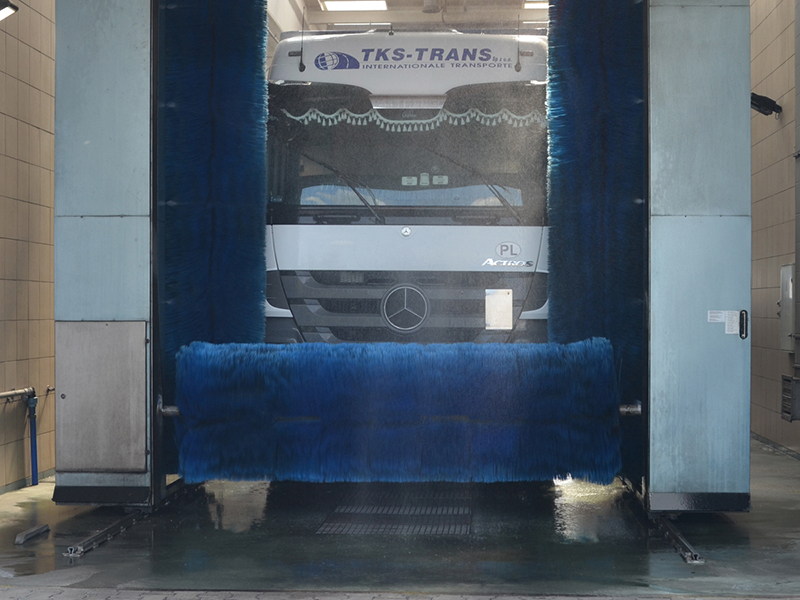 We also have a modern car wash equipped with secondary water circulation, ensuring that the water is reused in the process of washing. Due to all this, wherever you find our vehicle, no matter if it is the hot and sunny plains of Spain, the picturesque mountains of Italy or Switzerland, the snowy roads of Sweden, or the endless spaces of Russia or Kazakstan, it will always be recognisable because of its distinct logo and aesthetic look. Furthermore, you can count on the professionalism of our shipping agents and drivers and you can be sure that they will do their best to deliver the contracted cargo wherever you wish. TKS-TRANS as been operating since 1994 and specialises in international and national transport services, moving cargo fromWestern Europe to Eastern Europe and central Asia.